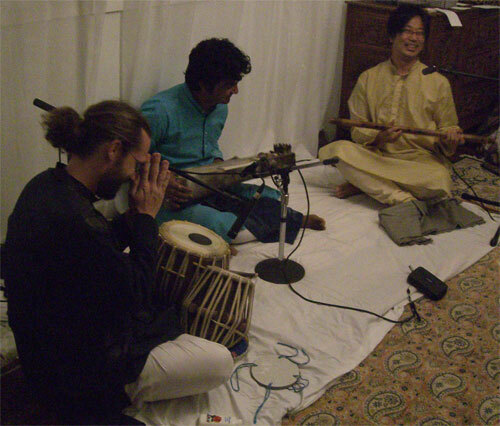 Taro Terahara performs Indian classical music on bansuri (Indian bamboo flute), accompanied on this, his first CD by world-renowned tabla maestro, Pt. Anindo Chatterjee. Taro is not only well-versed in a wide range of ragas, capable of fast and exciting melodic flurries and spontaneous improvisation, but he balances this with a devotion to the beauty of the sound and the emotion of the Raga. His music both touches the heart and engages the mind. Currently available for download only.